As the last food supplies dwindled, the Jews of Jerusalem had no choice but to consider surrendering. They needed a miracle. During Israel’s War of Independence, the fate of Jerusalem teetered precariously along the cliffs and ridges of a narrow, twisting shepherd’s path—the so-called Burma Road. The real Burma Road traverses seven hundred miles of perilous mountainous switchbacks that link Burma with Southwest China; control of the Burma Road became an important objective for the Allies during World War II. In 1948, Israeli forces found themselves building a similar road under similar circumstances, so they named the new road after the contested ridge route to China. The story of Israel’s Burma Road, however, is one of the modern miracles of Zion. Jewish Jerusalem fell under siege from hostile Arab forces that controlled the high ground above the roads leading to Jerusalem. They often ambushed the convoys attempting to reach Jerusalem with supplies of food, medicine, and ammunition. The situation became more serious when, in the middle of May, the Arab Legion occupied the Latrun Junction, effectively cutting off Jerusalem from the coast. 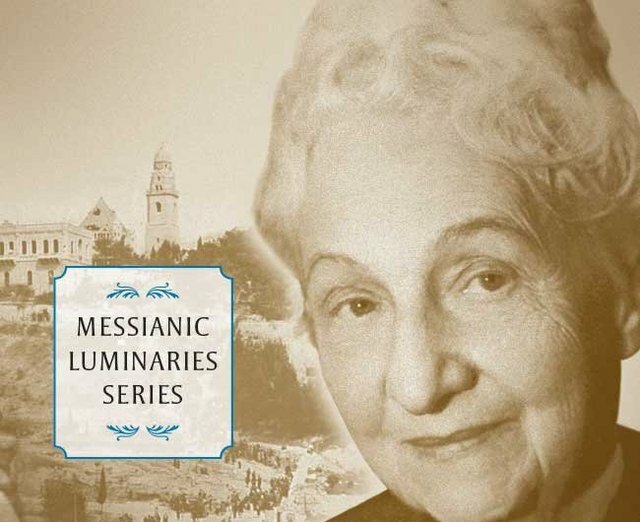 The isolated Jewish population of Jerusalem suffered severe shortages as supplies dwindled. The people barely subsisted on starvation rations, and the Jewish defenders quickly exhausted their ammunition. Israeli forces repeatedly tried to break the stranglehold at Latrun, but every attempt failed, incurring heavy Jewish casualties. As the last food supplies dwindled, the Jews of Jerusalem had no choice but to consider surrendering. They needed a miracle. “You think it could be done?” his companion asked. Exhausted from the struggle up the ravine, the men agreed to rest before continuing their reconnaissance mission. A few hours later, the sound of an approaching jeep from the east startled the explorers from their sleep. They grabbed their guns and crawled to a vantage point from which they could ambush the approaching vehicle, but just then, with a sudden shout of joy, Chorev recognized the driver as a Palmach comrade from the Har-El Brigade. The five men marveled over the coincidence of their chance meeting on a desolate Judean ridge in the middle of the night. Chorev and his two companions had set out from Tel Aviv; the other two men had come from Jerusalem. They realized that if they could retrace their respective routes, they could save the one hundred thousand Jews of Jerusalem. It must have seemed as if the Red Sea had suddenly split before them. 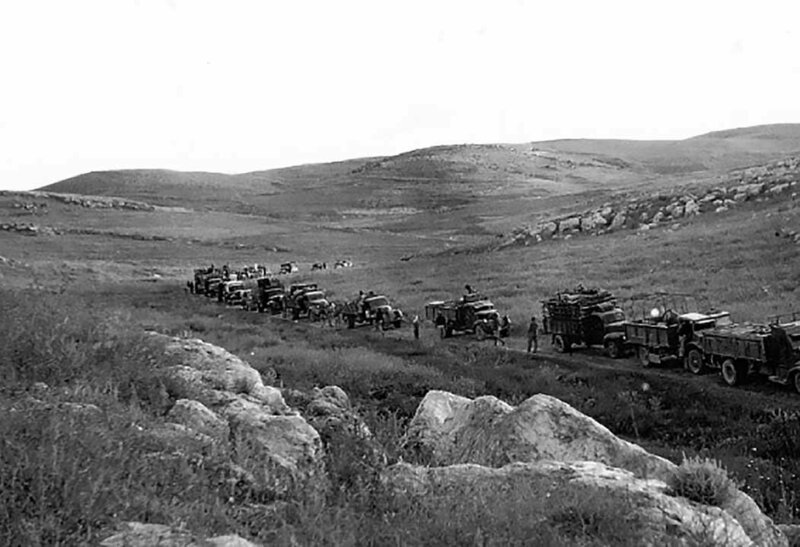 Haganah jeeps immediately attempted the new route from the west, but when the lead jeep overturned, the convoy turned back. A small crew was dispatched to improve the road, and the next night, a second attempt succeeded. The men in the jeeps frequently needed to stop, get out, and push their vehicles over rocks or out of holes, but they eventually arrived at the Har-El Brigade headquarters, only partway along the route. 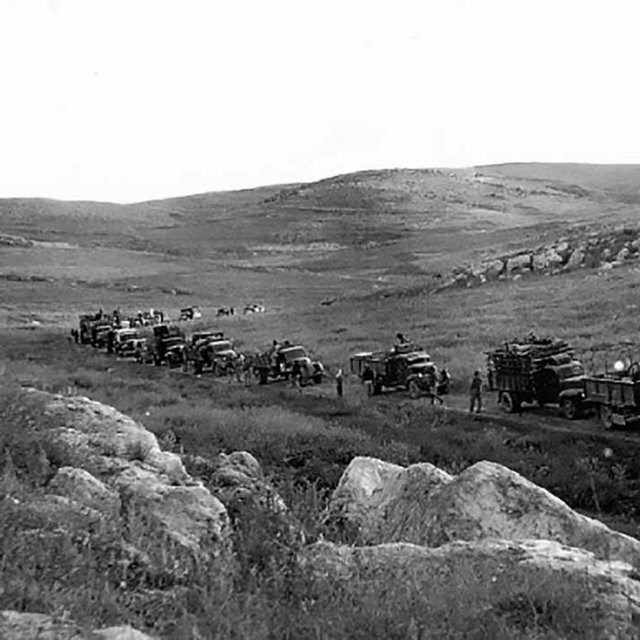 On the evening of June 1, 1948, a small convoy of jeeps left Jerusalem and made its way down the harrowing path. The descent from Jerusalem took them six and a half hours of negotiating switchbacks along steep drops, hampered as they were by rocks, pits, and ravines. They pressed on to Tel Aviv to organize a supply convoy, and they returned that same night. The road was still largely impassible, however, and porters and donkeys were needed to complete the first shipments on it while men went to work widening the way. The Arab Legion at Latrun realized what was happening beyond the ridge, and they tried shelling the road crews, but they could not see their targets, and they could not hit what they could not see. 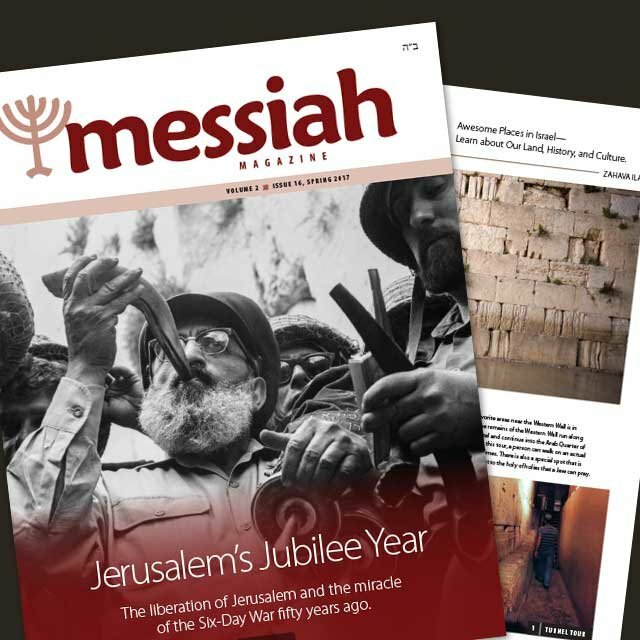 By the tenth of June, the road was passable enough to allow loaded trucks to reach Jerusalem, and by the end of June, convoys carried as much as one hundred tons of cargo every night over the new Burma Road—Zion’s miracle road. Source: Larry Collins and Dominique LaPierre, O Jerusalem! Day by Day and Minute by Minute: The Historic Struggle for Jerusalem and the Birth of Israel (New York, NY: Simon & Schuster, 1988), 514-519. Adapted from: Messiah Magazine #11, First Fruits of Zion, 2015, written by D. Thomas Lancaster.